So okay, literally, I'm going to make things beautiful. 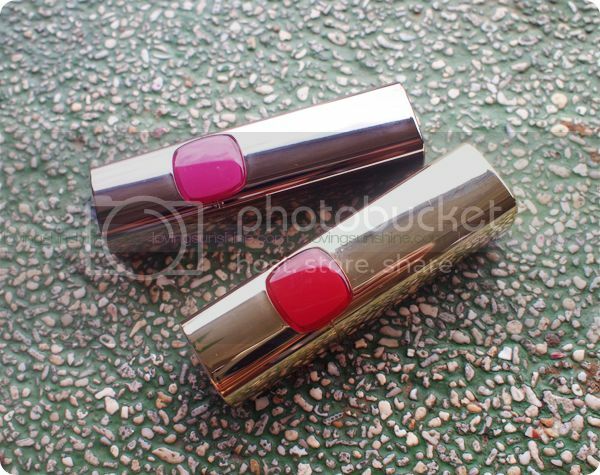 Today, I have two beautiful lipstick shades to share. SERIOUS. I can't even begin to explain how much I love one of these lovely lippies. Ready? Set. Swoon. Obviously, these lipsticks were packaged with a peek-a-boo section so you can have an indication of what the lipstick shade would be like. But I don't know, I think the shade indicators didn't do the product justice. I mean, just compare it with the bullet alone. You can see the the fuchsia is definitely more fuchsia, and the red, more fierce! Don't believe me? Check out below swatches! SRSLY! Playful, flirtatious, unique. These are the words that come to mind when I apply Glamor Fuchsia on my lips. Of course, there's the well-deserved ahh because the L'oreal Color Riche formulation is such a dream to apply too! For the woman who gets what she wants, and haves fun while she's at it, there's Rubie Follie. I really think this shade isn't for the faint heart--but for those who can brave the color, it's safe to say "expect the best out of your unexpected successes." I always associate red lipsticks with the epitome of a successful woman: someone who's happy in achieving her dreams; and I think, Rubie Follie is just the shade to realize that vision. 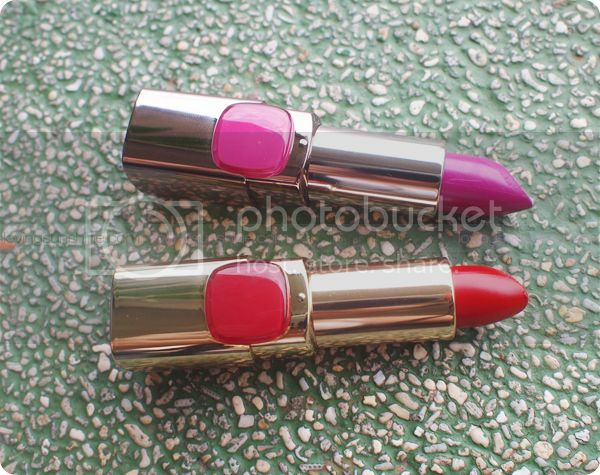 I find Glamor Fuchsia more soft matte while Rubie Follie is shiny vivid. Between the two, I love Glamor Fuchsia more because I'm a sucker for matte lipsticks. 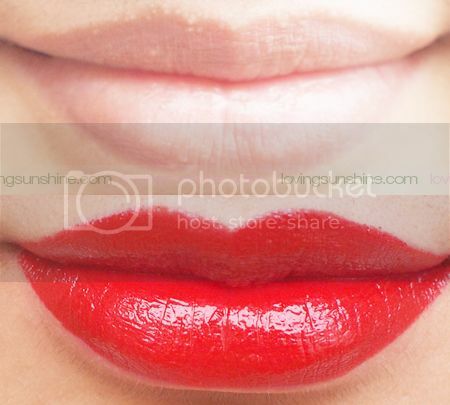 I got to try a different shade of Color Riche lipstick, Blaze of Red, and I fell madly in love. 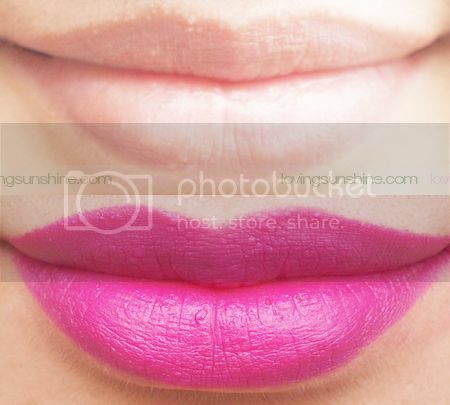 However there weren't any stocks of it so I opted on getting this unique fuchsia lippie--know what? #NoRegrets! Still want to get my hands of Blaze of Red though, I think that red lipstick and I are MFEO. So... Glamor Fuchsia or Rubie Follie?